Out-of-home (OOH), outdoor digital billboard, and digital advertising and media & entertainment are made for each other. Overall, digital advertising for entertainment and media surpassed $6 billion last year, an almost 19 percent increase from 2014. Forecasters see that growth continuing through at least 2019. Surprisingly, the two segments -- which are hard to analyze separately -- still account for barely 10 percent of the digital advertising done in this country. However, where the media has been used, it’s been highly successful promoting everything from new video games to movie trailers. It’s no wonder that such ads are frequent OBIE award-winners or that among the top spenders on OOH advertising are movie studios such as 21st Century Fox, Paramount and Walt Disney, TV networks including NBC and FOX, and cable moguls such as Comcast, HBO and Time-Warner. Sure, it’s easy to think digital advertising, including digital billboards, is only for those big-bucks clients with access to the creative forces available in New York and Hollywood. However, with Fliphound that isn’t the case. With a little creativity and even a modest budget, you’ll have the same ability to put a high-resolution image in front of drivers at locations of your choosing using the largest public online digital billboard network. Whether you’re promoting a community theater production, a small-market television station or a summer concert series give yourself some star power and go with affordable digital billboards. For creative inspiration and ad design ideas search Media & Entertainment in Fliphound’s billboard artwork and ad creative gallery and library or see 20+ of the best and most effective billboard ad ideas and examples for media, entertainment & sports. With digital billboards playing such a large role in the promotion of entertainment and media options, plenty of studies have been done to determine just how much impact the boards have, whether it’s comparing them to other types of advertising or other forms of outdoor media, including street furniture (benches and kiosks) and bus ads. A study done in Australia’s three largest cities involving digital billboards to promote “The Lego Movie” showed that the billboards produced four times more impact and engagement than street furniture, and up to six times more than other static advertising. Digital billboards are also on the cutting edge of futuristic advertising that literally puts tomorrow’s advertising in front of consumers today. Check out Fliphound’s free advertising cost and audience calculator to quickly find rates for billboards in 600+ cities! You can search for pricing by zip code for in real-time and buy billboard advertising online. Billboard advertising and signs work and are often the first piece of information many people and motorists see. Talk about standing out from and above the crowd. Check out the following case studies- see how California’s tallest open air observation deck - OUE Skyspace LA - wooed visitors and incentivized ticket sales to its premier viewing destination or how ESPN promoted the new playoff structure for its 2014 season using digital billboards. A billboard campaign with Fliphound isn’t going to take you quite that far into the future. However, a huge advantage outdoor digital billboards can offer -- as was shown in the Australian study -- is that with digital advertising the message can be much more targeted to each audience and does a better job of “putting eyeballs” on billboard displays. The greatest advantage to digital billboards is probably its flexibility. With Fliphound, you can find the best billboards or signs for your particular message, and you don’t need an ad agency to create alternate messages that are relevant to a specific audience that’s going to see those boards. 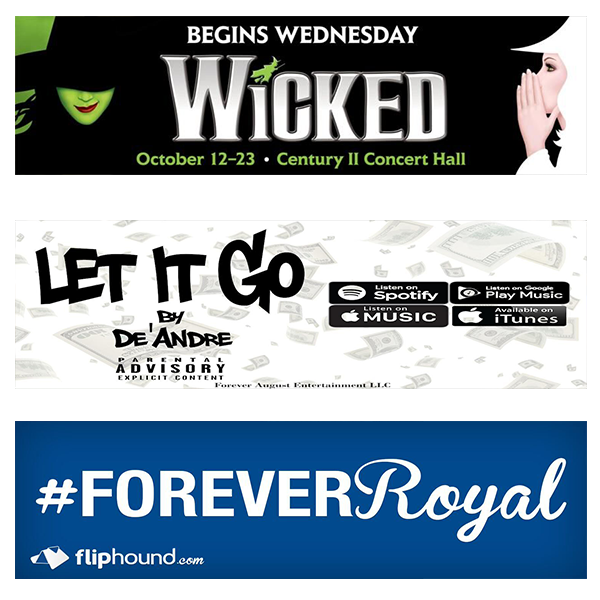 Fliphound is a marketing and advertising tool that helps media & entertainment companies work harder with fewer dollars and integrate outdoor advertising into their online and offline media mix. Adding out-of-home (OOH) billboard advertising to your overall ad campaign can increase the reach of TV by 18%, Radio by 45%, Social Media 212% and Mobile 316%. Also keep in mind outdoor advertising costs less than radio, TV or print on a CPM basis. If you’ve ever wondered how one of the world’s great venues advertises its events, it’s a no-brainer. The Times Square Alliance, the group that promotes annual events in New York’s Times Square, always uses digital billboards to sell its events, whether it’s something as well-known as its New Year’s Eve celebration, or something a little more under the radar, such as a Taste of Times Square or Times Square Art. They target the people who are already there, just as Fliphound reaches a captive audience that drives by its large digital network every day. Few things in life generate the excitement of a play, a live concert, a sporting event, a local television production, nightlife in general. Each is separate and unique and it’s that uniqueness and excitement that Fliphound can help convey, for maximum impact. Digital billboards are the perfect medium for promoting your event, whether you’re spreading the word days in advance, reminding people the day of the event, or letting them know that tickets are still available for tonight’s concert. Digital advertising already has a strong hold on the entertainment and media sectors and it’s time your event shares the spotlight. Out-of-home advertising is on 24/7 and can easily be integrated with social media campaigns, the internet or other advertising you’re using. Fliphound’s nationwide independent digital billboard network makes reaching the audience you’re seeking easier than ever. Let Fliphound put your event in the spotlight. Our audience is the driving public, which is spending more time in their vehicles than ever before. Let us help you fill your audience, as well. 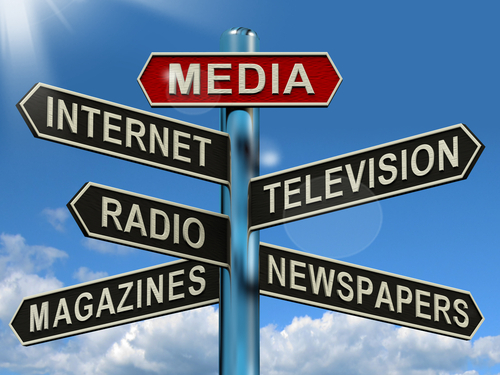 Entertainment and media already rely on digital billboards and so do their audiences. Join the crowd. When it comes to entertainment, digital billboards get and keep people’s attention. You can pick the locations of the billboards you use. It’s so easy, you can do advanced promotions AND tell people about the availability of tickets the day of the event.